GRAFENWOEHR, Germany — If you follow U.S. Army Garrison Bavaria on social media, you can expect to see the tag #BetterAtBavaria more often. #BetterAtBavaria is our way of telling both new and seasoned community members about the resources and services provided by the garrison, units and on-post agencies that make for a smooth transition into and out of Bavaria. Our goal: provide you with tips, resources, services and facilities that make your life easier while living in Germany with the Armed Forces. USAG Bavaria is the largest overseas installation with more than 40,000 service members, families, civilian employees and rotational forces. The Garrison consists of Grafenwoehr, Vilseck, Hohenfels, Garmisch and our camps, known as the Fifth Community. Our garrison operates on a hub-and-spoke concept. That means Grafenwoehr (the hub) supports the other communities (the spokes) with resources, staff and funding. You’ll find that even though we are spread out in a hub-and-spoke fashion, we offer an unrivaled network of services, programs, facilities and events for you and your whole family across all of our communities. Whether you are brand new or you’ve lived here for a while, you can learn about how things are #BetterAtBavaria by participating in a Newcomers’ Brief or a Windshield Tour through the USAG Bavaria Army Community Service offices in each of our communities. In addition to relocation readiness, ACS provides a slew of programs to help your family grow and thrive during your time here, including city tours, classes, counseling, volunteer and employment opportunities, and so much more. While you’re there, check out the Morale, Welfare and Recreation programming, which includes everything from Karaoke night to touring Italy. 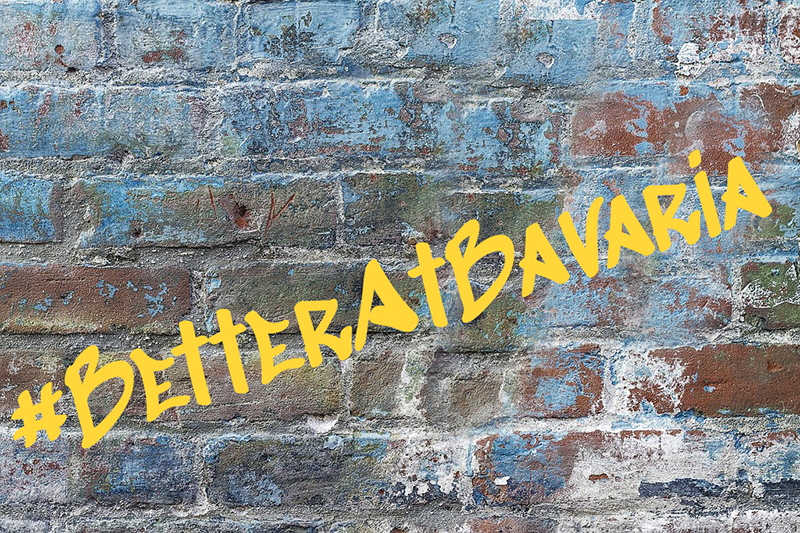 We encourage you to join the #BetterAtBavaria conversation on our Facebook page or on Twitter. More than 32,000 of your friends and neighbors are already there. You’ll find a plethora of information, from cultural tips and on-post events to facilities information and Army news. Speaking of news, we have a whole host of articles about community services and resources on our official Garrison news platform, Bavarian News. Search the archive for “newcomers” or “PCS” and you’ll find a collection of articles that will simplify your transition into and out of Bavaria. And don’t forget, our website is aimed at you, the community member. Head to home.army.mil/bavaria and click newcomers for a triple-threat resource: pre-arrival, arrival and post-arrival. Join us for our Virtual Facebook Town Hall April 9 from 4-5 p.m. Professionals from across the installation from housing and development to transportation and public works will be ready and available to answer your questions about life at USAG Bavaria. So whether you’re new to USAG Bavaria or not, we’re glad you’re here, and we think you will be too. Stick around and you’ll find that life really is #BetterAtBavaria.